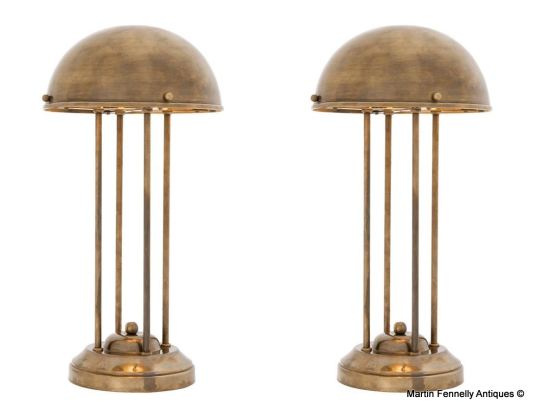 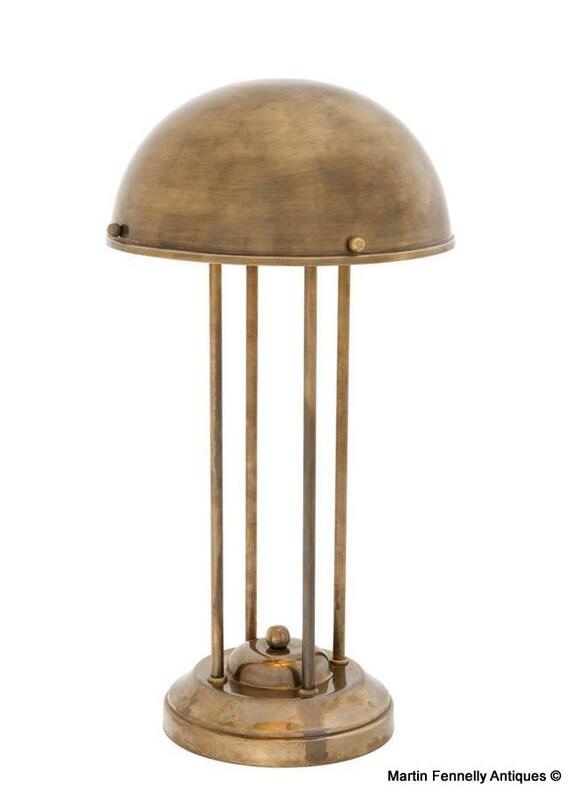 Pair Antiqued Brass Desk Lamps. 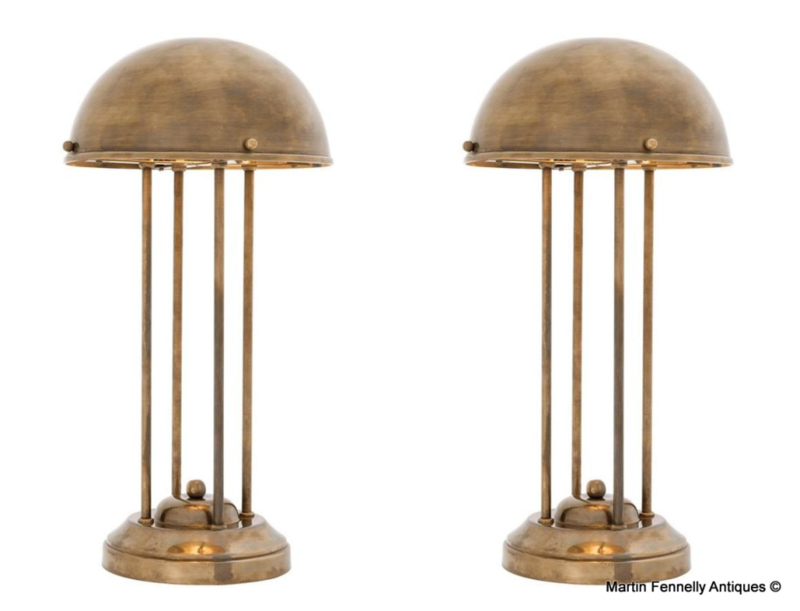 These Lamps will bring traditional lighting into your home office or study. 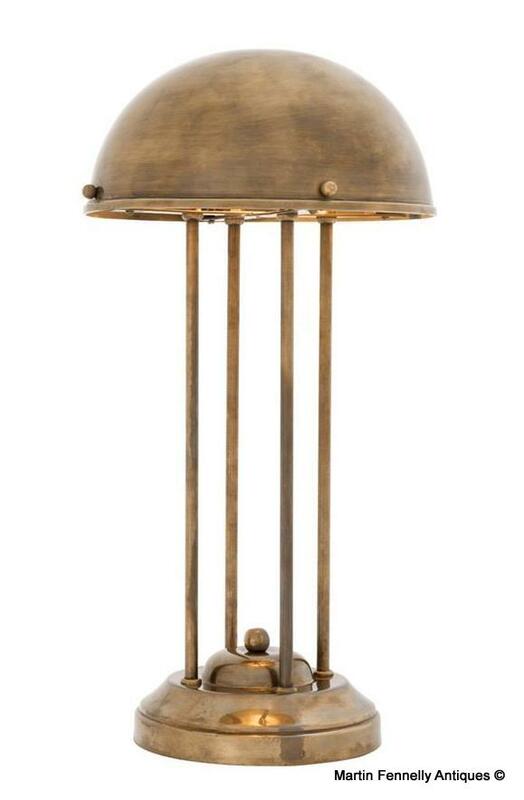 The design draws inspiration from the shape of classic desk lamps with 4 supporting bars and dome top all raised on a a spreading circular base.This stunning lighting solution will add character and designer style to your desk or hall area while illuminating the space.